Hello from San Francisco! After flying Air Tahiti Nui’s 787 from Los Angeles to Tahiti, I decided to mix things up by flying United’s 787 from Tahiti to San Francisco, as this is a brand new route for them (I booked this using miles, as United has opened up a fair bit of award space on the route). In this post I wanted to share my initial thoughts. While United introduced their new Polaris seats two years ago, as of now none of their 787-8 or 787-9 aircraft feature these seats. Instead they have B/E Aerospace Diamond seats, which are fully flat and in a 2-2-2 configuration. While not the world’s greatest seats, they’re perfectly nice for a 7hr20min flight when I’m with Ford. One area where United really shines is with their bedding. 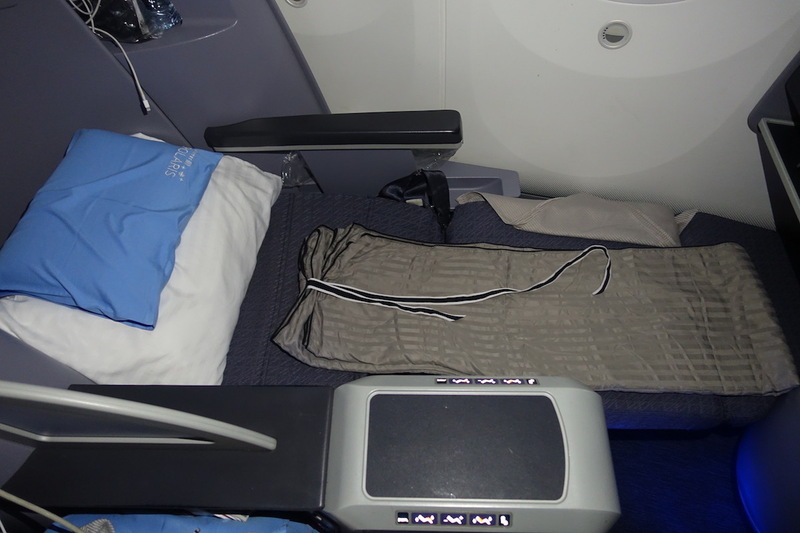 They have the best business class bedding of any airline in the world. You get a huge, comfortable pillow, a gel pillow, a thick blanket, a light blanket, and a mattress pad (on demand). I slept so well on this flight thanks largely to that bedding. The problem is the lack of storage at these seats. This is what the floor around our seats looked like when we arrived at SFO. This flight departed Tahiti around 11PM and landed in San Francisco around 8AM, so they served dinner after takeoff and breakfast before landing. Dinner service began with mixed nuts and drinks — I love United’s champagne flutes. Generally Polaris catering is pretty good, but that’s not the case out of Tahiti. I’m not sure if Tahiti’s catering facility just isn’t good, if United just isn’t willing to pay (given how expensive Tahiti is), or what. The starter consisted of smoked salmon with a quinoa salad, and was fairly bland. The salad was bland as well. For the main course I ordered the Chinese-style chicken noodle soup, which was awful. It had almost no broth, the noodles were hard, and the chicken tasted rubbery. YUCK. I know airline catering can be tricky sometimes, but you’d think they’d have at least one fish dish on the menu when departing Tahiti (they didn’t). For dessert the menu indicated there would be sundaes, but instead there was tasty pavlova. For breakfast I ordered a tasteless tomato, zucchini, and cheese panini. I had just a bite or two and sent it back. Unfortunately the food was definitely not a highlight on this flight, but I think that might have to do with Tahiti catering, since food is good on most other United routes. The crew working business class was a mixed bag. The purser was extremely friendly and professional. One of the flight attendants seemed actively unhappy to be there. One flight attendant had a really weird personality, and seemed to be friendly one minute and abrasive the next. I can appreciate the crew wanting to be personable and that’s one of the things I like about US service, but sometimes it just comes across as lazy. I ordered the panini for breakfast. Like, wouldn’t you look at the menu before you come around asking people what they want? That’s just one small example. United’s Polaris bedding is exceptional, and I find that makes a huge difference in terms of comfort. While I would ideally not want to be in this seat on a 17 hour flight to Singapore, for a seven hour redeye with Ford this was more than sufficient. 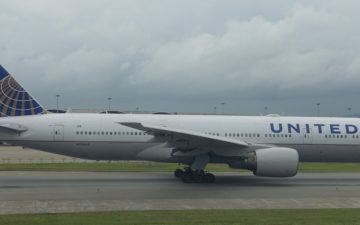 Overall United does a great job with their Polaris soft product, I just wish they’d start updating some of their 787-8s and 787-9s with the new seats, since they use these planes for some of their longest routes. You are on fire with the whines about not getting enough seafood! We promise it doesn’t get old. 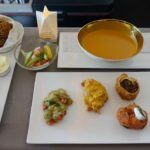 While UA business class dining is usually fairly unremarkable, I think you may be right that this flight was particularly bad because of the catering in Tahiti. My go to UA entree is their various Asian style chicken noodle soup/broth offerings and it’s usually swimming in broth and quite flavorful. A serious question to Lucky: do you ever get reponses from the airlines about your posts. Especially AA? Wait a minute, the blanket and pillow were actually at your seat when you sat down? You didn’t have to ask for them? Wow United may have stepped their game up ever so slightly….and then I saw the food lol. btw – you know you can semi fold your bedding at the end of the flight 😉 to make your seat area look somewhat presentable. Perhaps instead of the “cold” complaining and whining about things you know all too well about. Add a section below your newly beloved, does not seem to be going away “bottom line” that is addressed DIRECTLY to the airline! 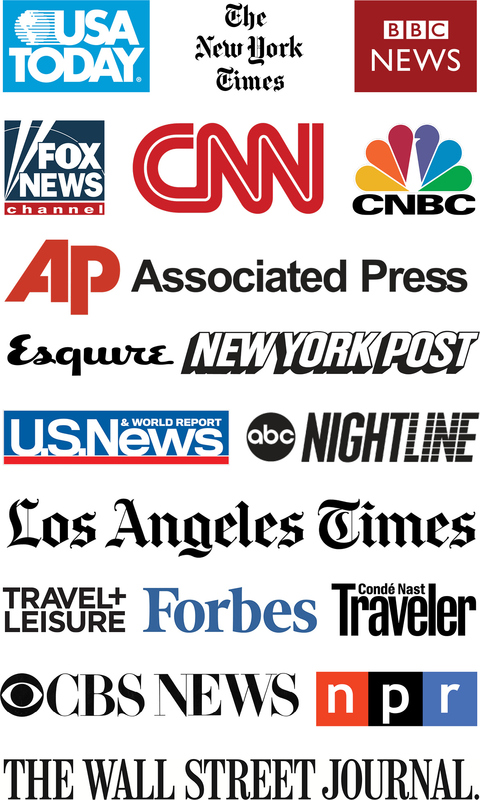 Suggestions for United Airlines, American Airlines etc. What brand of bedding do they use? I’d love to know more about the logistics of flight catering especially at out stations and weather the bedding gets washed at out stations or if they load the return bedding on the outbound etc… . BTW I wouldn’t be surprised if they don’t send the return meals on the outbound flight. Why should he? DO YOU KNOW WHO HE IS???! I’m assuming you used UA miles, but I’m wondering how many it took for this award? @ Robert Hanson — I’m sure Ben will give the full run-down when he does the final trip report, but you could book this flight with any Star Alliance miles. It would be 67,5k with Miles&More, 70k with United, 80k with Aeroplan or LifeMiles, a whopping 117k with Singapore, etc. So really just depends where your miles/points are. I’m curious why UA’s Pacific flight attendants are mostly so surly. 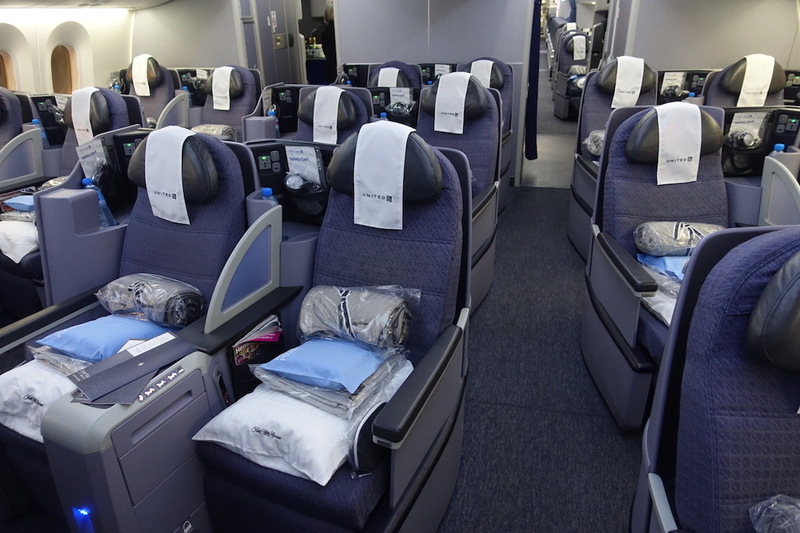 Flew HNL – SFO recently and the FAs were all upset and provided horrible service to the forward cabin. Maybe UA double caters this flight and that’s why the food – save the dessert, apparently – was so underwhelming/bad. It’s already tough for the US3 to do food (or anything) well, so I can only imagine how hard it is to reheat day-old food and make it palatable. Especially when the FAs are there for our safety, not for our comfort or to be airborne chefs. Bi polar f/as and unremarkable food!? Sounds like a real BLAST! I’ve only flown Air Tahiti Nui to Papiete. Service mostly good, very young crews…food also just ok.
Actually, there is NO saver J availability to the end of the calendar, so nobody will be able to book it with StarAlliance miles. There might be availability for MPP or Chase CC, but not for any partners. Or I can rough it out in Y, there is some availability there. FWIW, I appreciate the notes about lack of fish dish out of Tahiti. Airline catering’s overall lack of seasonal, locally produced ingredients is pretty offensive, but can be somewhat understood by how difficult it would be to provide any sort of consistent product with such processes. Shipping in whatever sort of godawful looking produce and proteins went into those meals though… when there are almost certainly incredible locally produced alternatives (fish, produce, etc) is just absurd. The „soup“ is really hilarious! Not sure why you love the ‘champagne flutes’ – they don’t even have a stem which means you have to hold it in your hand like a caveman causing it to warm up. It’s basically a slightly taller, thin water glass. Thanks so much for the comprehensive answer. !!! @ Marija — Keep an eye on it, or maybe set some alerts. It was more than sporadically available before the “historic” announcement yesterday, so could come back. I also wonder if the flight is double catered ex SFO. UA does this a lot with the Pacific flights. Case in point, on the island hoppers, all food is loaded in GUM going east and HNL going west. The only thing loaded in the islands are more drinks and ice cubes. I now also wonder if UA double caters for its round trip flights from GUM to Japan, MNL, and HKG because the food sometimes doesn’t taste as fresh as it could be. I second that suggestion you fold your bedding. UA gives you a lot and you need to be smart about space…you know…like when you pack your luggage. Tahiti is fished out and in the middle of the Pacific. There won’t be good fresh food options. You should know this. Quoting another 1K’s line “This airline is the king of overhyped let downs”. Fauxlaris is still subpar, period. I second the comment re: bedding. That mess you left is indicative of most of the self entitled, self centered and totally selfish. You made a mess, were probably demanding the entire trip (which made the FA angry at you), and probably were simply bitchy. clickbait- this aint Polaris, its just United’s regular old business. I didn’t see anything Polaris related except the bedding. Why would you put that in the title? Air New Zealand bedding is still superior, and has been for years. So yeah, maybe no stem, but it’s actually the authentic way to serve this drink ! Allow me to disagree. British Airways’ new Whitw Company bedding in business class is superior (and less bulky) than UA’s.